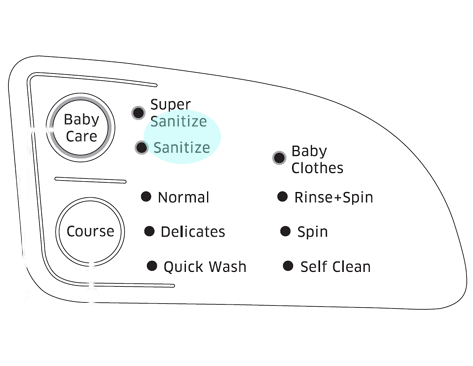 Unlike normal fully-automatic washer, the sanitizing washer has a sanitize wash function. 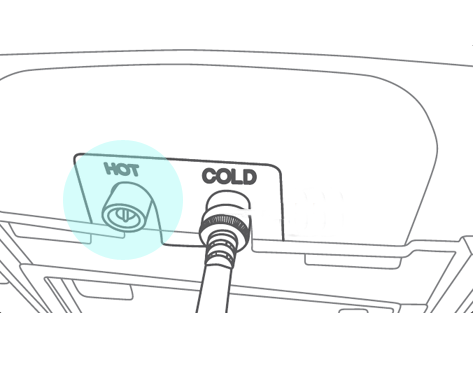 Using only a cold water supply, the sanitize wash is possible with the help of the internal heater. However this method consumes a lot of energy and may lead to a higher electricity fee depending on the temperature of water supplied. Therefore it is advisable to use sanitize wash when hot water is connected to the machine.